Ziya Gökalp, bizde, medeniyet ve kültür ayırımını bilimsel olarak ilk ortaya koyan düşünürdür. Ona göre kültür, millî, medeniyetler ve milletlerarasıdır. Kültür umumî ve metodsuz olarak medeniyet ise ferdî-iradî çabalarla metodlu bir şekilde oluşturulur. Kültür, taklit edilemezken; medeniyet, taklit yoluyla alınır. Kültür duygulardan, ilham ve sezgilerden; medeniyet bilgilerden, yani aklî faaliyetlerden mürekkeptir. Bu sebeple milletler birbirlerinin dinî, ahlakî, estetik duygularını taklit edemezler; fakat kendi aralarında bilgi alışverişinde bulunabilirler. Gökalp’ın bu ayırımı ve çağdaşlaşma tezi çeşitli düşünür ve bilim insanları tarafından eleştirilmiştir. Bu makalede bizim amacımız, başlangıcından bu güne kadar bu konuda kimin ne söylediği veya Gökalp’a hangi eleştirilerin yöneltildiği değildir. Bizim amacımız, bu hususta en son ve köklü bir eleştiri getiren Yılmaz Özakpınar’ın teorisine dayanarak çağdaş Türk düşünürü Nurettin Topçu’nun yerini belirlemek ve onu anlamaya çalışmaktır. Özakpınar, Kültür Değişmeleri ve Batılılaşma Mes’elesi kitabında, sorduğu sorularla Gökalp’ı temelden sarsmaktadır: “Acaba Gökalp’ın yaptığı mantıksal ayırımların unsurları, olguların gerçeğinde de birbirlerinden ayrılabilir durumda mıdır? Meselâ, bir sosyal yapının duygu unsurları ile akıl unsurları sökülüp takılabilen mekanik unsurlar gibi midir? Veya, akıl unsuru, diğer bir deyişle medeniyet, duygudan arınmış bir hâlde bir milletten alınıp başka bir milletin duygusuna monte edilebilir mi?” Özakpınar’a göre, Gökalp’ın teorisi tutarsızdır. Bütün bu teorik tahlillerin arka plânında Yılmaz Özakpınar’ın kendisinin kurmuş olduğu diğer farklı bir medeniyet teorisi bulunmaktadır. Anahtar Kelimeler: Kültür; Medeniyet; Medeniyet teorisi; Çağdaşlık; Batılılaşma; Kültür değişmesi; Bilgi değişimi. Ziya Gökalp is the first thinker who makes a scientific differentiation between civilization and culture in our country. According to him, culture is national but civilizations are international. Culture is general and formed unmethodically but civilization is formed with invi-dual-voluntary efforts and methodically. As culture can not be imitated, civilization can be taken through imitation. Culture is composed of emotions, inspirations and intuitions but civilization is composed of information, in other words; mental activities. For this reason, nations can not imitate each others’ religious, moral and aesthetical emotions but they can have information exchange among themselves. Gökalp’s this differentiation and thesis of modernity were criticised by various thinkers and scientists. In this article, it is not our purpose to deal with who said what on this issue from the beginning or which criticisms were directed against Gökalp. Our purpose is to determine the place of contemporary Turkish thinker Nurettin Topçu and try to understand him based on the theory of Yılmaz Özakpınar who brought the most recent and radical criticism in this issue. Özakpınar shakes Gökalp from the ground with the questions he asks in his book of “Changes of Cul-ture and Problem of Westernization” such as, “Can the components of logical differentations Gökalp did be in a separable situation from each others even within the reality of phenomena? For example, are the components of emotion and mind of a social structure like the detac-hable-mountable mechanical elements? Or can a component of mind, in other words; civilization which is said to be international, be taken from one nation by purifying from emotions and be mounted into another nation’s emotions?” According to Özakpınar, the theory of Gökalp is inconsistent. In the background of all theoretical analyses, there is another and different theory of civilization constituted by Özakpınar himself. Key words: Culture; Civilization; Theory of civilization; Modernity; Westernization; Change of culture; Information exchange. Since the last century and especially as of today, studies, articles and theories written in the world as well as in our country centered on civilization have been attracting intensive interest both in the academic circles and in the public opinions. Furthermore, heavy discussions have still been continuing on whether there is an ultimate and the most ad-vanced stage of civilization for the whole mankind at the point we reached. As for the most heated samples of argument issued within the last 20 years, we can mention two publications from the West; The End of History, the Book of F. Fukuyama (1992) and The Clash of Civili-zations (1995), the article of S. Huntington as well as a few domestic publications as follows: Special Edition for Civilization issued by the magazine of Türk Yurdu (1998) and one by one successively published books of Prof. Dr. Yılmaz Özakpınar (1997a, 1997b, 1998, 1999) as well as the thesis of rise and fall of civilizations of Nevzat Kösoğlu. As it is known, Ziya Gökalp is the first thinker who makes a scientific differentiation between civilization and culture in our country. According to him, culture is national but civilizations are international. Gökalp analyses this subject systematically in many of his works especially in Principles of Turkism-. To Gökalp, culture is general and formed unmethodically but civilization is formed with invidual-voluntary efforts and methodically. As culture can not be imitated, civilization can be taken through imitation. Culture is composed of emotions, inspirations and intuitions but civilization is composed of information, in other words; mental activities. For this reason, nations can not imitate each others’ religious, moral and aesthetical emotions but they can have information exchange among themselves (Gökalp, 1963). 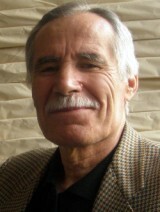 Yılmaz Özakpınar (1999) who developed a new theory of civilization draws attention to a characteristic of Gökalp: “Gökalp’s ideas in almost every issue are based on logical differentations” (p.207). Logic is a qualification of thought willing to understand the reality in the field of observation and it is not the decisive for the reality. Then, conceptualization of scientific thought does not pursue the goal of establishing the grounds of events, desires to explain their reasons of events by finding out the relations with the wholeness of events. Scientific conceptualization aims at bringing a structure for the complicated reality of events. “Otherwise events are not differentiated concretely according to the qualification of our logical classification and entered into totally different categories. Gökalp’s this differentiation and thesis of modernity were criticised by various thinkers and scientists. In this article, it is not our purpose to deal with who said what on this issue from the beginning or which criticisms were directed against Gökalp. Our purpose is to determine the place of contemporary Turkish thinker Nurettin Topçu and try to understand him based on the theory of Yılmaz Özakpınar who brought the most recent and radical criticism in this issue. Özakpınar (1999) shakes Gökalp from the ground with the questions he asks in his book of “Changes of Culture and Problem of Westernization”. Accor-ding to Özakpınar, the theory of Gökalp is inconsistent. According to the theory, he first handled in his book of Appro-aches of Culture and Civilization and a Theory of Civilization, developed later on in his other books, “Civilization is belief and the system of morality. Belief is the psychological basis and the system of morality is the social basis of a civilization” (p.55). To Özakpınar, “culture is the everything which are the materialistic and intangible appearings of belief and morality, namely civilization” (p.51-52). Everything inc-luded by Gökalp into civilization is culture in Özakpınar and the change of culture is an inevitable reality both historically and socially. While changing of culture is natural, changing of civilization is not easier so much and it happens in extraordinary conditions (p.69-71). Perhaps, in addition to the the author’s analyses, it can be said that if nations had changed their civilizations as they had changed their cultures, there would not be any distinctive civilization. Topçu states in many of his articles that the most leading problem of our country for the last 100-150 years is the matter of civilization and it is engaged with the mater of Westernization. For Topçu, “Culture is the property of a nation who created it”. According to Topçu, science is the subject of civilization, not culture (Topçu, 1998b, p.16). For reli-gion, “Even if religion is not the property of a nation, it is the principal source of the establishment of a nation. Major religions prepared this establishment by existing before the establishment of nations. They gave nations the morality and beliefs which exist in the fundemental structure of soul as well as the source of ideals. Today it is impossible to seperate French and Italian nationalities form their Catholic beliefs. If so, it becomes an artificial and forced imagination” says Topçu (Topçu, 1998b, p.18). As a result, it can be underlined that though Topçu does not have a scientific theory of civilization his ideas in this respect demonstarate different qualifications with Gökalp (1963) and Özakpınar’s (1999) theories, but he did not commit a mistake of casuality which they did. Additionally Topçu, our thinker, considers that Eastern nations can build alternative Eastern civilizations in front of the West by refining their cultures with the methods developed the humanity. But only with a condition that they would get rid of inferiority complex against the West. Son yüzyıldan beri ve özellikle de günümüzde, gerek dünyada gerekse ülkemizde medeniyet eksenli araştırmalar, yazılar ve teoriler hem bilim çevrelerinde hem kamuoyu nezdinde ilgiyle karşılanmakta-dır. Hatta diyebiliriz ki, modern sosyal bilimlerin kuruluşundan beri daha sık ve yoğun şekilde her milletin değerler cetveli gerek adlan-dırma, gerekse değişkenlik açısından tahlil ve tasnife tâbi tutulmakta; bunlardan ‘kültür’ ve ‘medeniyet’ şeklindeki adlandırmalardan neyin asıl, neyin tâlî olduğu, hangisinin zor değişip hangisinin kolay değişti-ği, keza değişiyorken hangi kurallara tâbi olduğu, bütün insanlık için gelinen en son ve en ileri denilebilecek bir medeniyet safhasının olup olmadığı vb. tartışmalar sürüp gitmektedir. Burada en hararetli tartışma örnekleri olarak son yirmi yıl içinde çıkan Batı kaynaklı iki yayını ─F.Fukuyama’nın (1992) Tarihin Sonu kitabı ile S. Huntington’un (1995) Medeniyetler Çatışması mı?makalesini ve yerli birkaç yayın faaliyetini─ Türk Yurdu Dergisi’nin (1998) Medeniyet Özel Sayısı ile Prof. Dr. Yılmaz Özakpınar’ın (1997a, 1997b, 1998, 1999) peş peşe çıkan kitaplarını, keza Nevzat Kösoğlu’nun medeniyetlerin yükseliş ve çöküş tezini verebiliriz. Bilindiği üzere, Huntington’a (1995) göre oluşan yeni dünyada mücadelenin esas kaynağı eskiden olduğu gibi öncelikle ideolojik ve ekonomik nitelikte değil, kültürel nitelikte olacaktır. Gerçi dünyadaki hadiselerin en güçlü aktörleri yine millî devletler olacak; fakat global politikanın asıl mücadeleleri farklı medeniyetlere mensup milletler arasında cereyan edecektir. Peki, dünyanın geleceği bunlar arasındaki hangi medeniyetler eliyle şekillenecek? Huntington (1995) bunda âmil olacak yedi veya sekiz medeniyet göstermektedir. Bunlar Batı, İslâm, Konfüçyüs, Japon, Hint, Slav-Ortodoks, Latin-Amerika ve muhtemelen Afrika medeniyetleri. Fukuyama (1992) ise tek kutuplu dünyanın oluşmasıyla liberalizm ve demokrasinin galibiyetini ilân ettiğini, demokratik-kapitalist toplum modelinin insanlık tarihinin ulaştığı en son ve mükemmel safha olduğunu iddia etmektedir. Tabiî, bunları söylerken her ikisinin de esas endişeleri bizâtihi Batı medeniyetinin zaafa uğramadan nasıl ayakta kalacağı meselesidir. Bir başka medeniyet tarihçisi olan Toynbee (1991) ise geçen yüzyılın ortalarından beri Batı ile İslâm arasında bir mukayese yapmakta ve açıkça şöyle demekteydi: “Haçlı seferlerinden sonra Batı ile İslâm şimdi bir daha karşı karşıya gelmiş durumdadır” (s.167). Fakat bu defa çağdaş Batı, İslâm’a karşı sadece silah bakımından değil, aynı zamanda silah sanayiinin son derece bağlı olduğu ekonomik medeniyet tarzı bakımından ve hepsinden de öte ruhsal kültür bakımından, yâni medeniyet denilen ve kendi kendine dışa dönük ürünleri besleyen o derûnî güç açısından da üstündür (Toynbee, 1991). Bilindiği gibi, bizde medeniyet ve kültür ayrımını bilimsel olarak yapan ilk düşünür Ziya Gökalp’tır. Gökalp, birçok eserinde ─fakat özellikle de Türkçülüğün Esasları’nda─ bu konuyu sistematik olarak ele alır. Ona göre kültür millî, medeniyetler milletlerarasıdır. Kültür umûmî ve metodsuz olarak medeniyet ise ferdî-iradî çabalarla metodlu bir şekilde oluşturulur. Kültür taklit edilemezken medeniyet taklit yoluyla alınır. Kültür duygulardan, ilham ve sezgilerden, medeniyet bilgilerden, yani aklî faaliyetlerden mürekkeptir. O yüzden milletler birbirlerinin dinî, ahlâkî, estetik duygularını taklit edemezler; fakat bilgi alışverişinde bulunabilirler. Bir milletin dini, dili, ahlâkı, örf ve âdeti kültürüne; bilimi, fenni, sanatı medeniyetine dâhildir. Ne var ki, dinî inançlar ve ahlâk kültürün unsuru iken, din hakkındaki bir bilimsel çalışma, kezâ ahlâk üzerine bir teori medeniyete dâhildir. Çünkü bu ikinciler metodlu, ferdî iradelerle yapılmıştır. Destanlarımız, masallarımız, atasözlerimiz, halk edebiyatımız kültüre; dîvan edebiyatımız, romanımız, şiirimiz medeniyete dâhildir (Gökalp, 1963). Ziya Gökalp’ın (1963) “kültür” yerine “hars” kelimesini kullandığı da malûmdur. Çünkü Fransızcada kültür kelimesinin iki ayrı anlamı vardır. Birincisini hars, diğerini “tehzib” (yetiştirme, yükseltme) deyimiyle karşılar. Hars, halk kültürü; tehzib, aydın kültürüdür. Hars halkın gelenek, görenek, sözlü ve yazılı edebiyat, dil, din, ahlâk ve musikîsinden, kezâ estetik ve iktisadî ürünlerinden; tehzib ise okumuş gerçek aydının tasarı ve fikirleri, güzel sanatlar, edebiyat, felsefe ve taassup göstermeden dine dâir sevgisinden ibarettir. Dolayısıyla hars demokratik, tehzip aristokratik; kezâ hars millî, tehzip milletlerarası nitelik taşır. Yüksek eğitim görmüş birisi sade kendi milletinin harsını değil, başka milletlerin harsını da sevebilir ve onlardan da tat alır. Yeni bir medeniyet teorisi sâhibi Yılmaz Özakpınar (1999), bu münasebetle Gökalp’in bir özelliğine dikkat çeker: “Gökalp’in hemen her meseledeki fikirleri mantıkî ayrımlara dayanır” (s.207). O, gözlem verileri arasında ilişkiler bulmak ve bunlara dayanarak teorik açıklamalar yapmak yerine, daha işe başlarken mantıkî ayrımlara göre veriler sıralamaktadır. Mantık, gözlem alanının gerçeğini kavramak isteyen düşüncenin niteliğidir; gerçeğin belirleyicisi değildir. O hâlde, bilimsel düşüncenin kavramlaştırılması, olayları temellendirme amacı gütmez, olayların bütünlüğü ile ilişkilerini bularak, onların meydana geliş sebeplerini açıklamak ister. Bilimsel kavramlaştırma, olayların karmaşık gerçekliğini mantıkî soyutlamalarla bir yapıya kavuşturmaktır. “Yoksa olaylar bizim mantıksal sınıflamamızın niteliğine göre somut olarak ayrılmış ve apayrı sınıflara girmiş değildir” (s. 207). Bu konularda, özellikle kültür ve medeniyet hususunda, Mümtaz Turhan ve Erol Güngör dâhil, yazar, sosyolog ve düşünürlerimizin çoğu kavramlaştırma bakımından Türkçülüğün ideologu Gökalp gibi düşünmüş ve onu ana hatlarıyla takip etmişlerdir. Hatta, Sait Halim Paşa ve Mehmet Âkif dâhil, ilk dönem İslâmcılar da böyle düşünmüşlerdir. Ayrıca, Gökalp’ın (1963) bu sınıflamasındaki asıl maksadın II. Meşrutiyet Dönemi’ndeki üç akımı uzlaştırıp Türkleşmek, İslâmlaşmak ve Çağdaşlaşmak (Muasırlaşmak) formülüyle Türk toplumuna ileri bir hayat tarzı ve sosyal yapı kazandırmak olduğu, en azından bunları ön gördüğü bilinmektedir. Ona göre Türklüğümüz ve İslâmlığımız, kültürümüzün bir parçasıdır. Bizde eksik olan bilim ve fen (yani teknoloji) ise insanlığın geldiği en ileri noktada bulunan Batı’dan, yani Avrupa’dan alınacaktır. Çünkü Batı medeniyeti, temeli iş bölümü olan bilim ve fen tarafından temsil edilir. (Özakpınar, 1999). Gökalp’ın bu yaklaşımının temelinde onun kültür (hars) ile medeniyet arasında kurduğu diğer bir ilişki daha bulunmaktadır: Ona göre her milletin başlangıçta yalnız kültürü (harsı) vardır. Bir millet kültür bakımından yükseldikçe, siyasetçe de yükselerek kuvvetli bir devlet meydana getirir. Diğer taraftan da kültürün yükselmesinden medeniyet doğmaya başlar. Medeniyet, başlangıçta millî kültürden doğduğu hâlde sonra komşu milletlerin medeniyetlerinden de birçok kurumlar alır (Gökalp, 1963, s.29). Osmanlının vaktiyle Araplardan, Farslardan, Bizanslılardan aldığı kurumların ve ilimlerin yerine yeni Türk Devleti Batı’dan kurumlar ve ilimler alacaktır. Tanzimat Osmanlısı, Doğulu kalarak Batılı kurumları almak gibi bir hata işlemiş, iki zıt medeniyeti uzlaştırmaya çalışmıştır. Oysa bir millet ya Doğulu, ya Batılı olurdu. “İki dinli bir fert olmadığı gibi, iki medeniyetli bir millet de olmaz(dı)” (Gökalp, 1963, s.31-45). Gökalp’ın gerek kültür ve medeniyet ayrımı, gerekse bu anlamdaki çağdaşlaşma tezi çeşitli düşünür ve bilim adamları tarafından eleştirilmiştir. Ancak bizim konumuz bu meselede, başlangıcından bu güne kadar kimin ne söylediği ve Gökalp’a hangi eleştiriyi yaptığı değil, bu hususta en son ve köklü bir eleştiri getiren Yılmaz Özakpınar’ın teorisinden hareketle çağdaş Türk düşünürü Nurettin Topçu’nun yerini belirleyip anlamaya çalışmaktır. Özakpınar (1999), Kültür Değişmeleri ve Batılılaşma Meselesi kitabında sorduğu sorularla Gökalp’ı temelden sarsmaktadır: Acaba Gökalp’ın yaptığı mantıksal ayrımların unsurları, olguların gerçeğinde de birbirinden ayrılabilir durumda mıdır? Meselâ, “sosyal kurumların duygu unsurları ile akıl unsurları sökülüp takılabilen mekanik parçalar gibi midir? Milletler arası olduğu söylenen akıl unsuru yani medeniyet, duygudan arınmış bir hâlde bir milletten alınıp başka bir milletin duygusuna monte edilebilir mi?” (Özakpınar, 1999, s.211). Özakpınar’a göre (1999) Ziya Gökalp, medeniyetin taklit edilebilir olmasından hareketle, nakledilecek akıl unsurunu, o medeniyet dâiresinin dışındaki bir milletin kültürü içindeki duygu unsuru ile birleştirmeyi tasarlıyor. O hâlde, sosyal bir kurumun millî kültür içindeki duygu unsuru yerinde kalmak üzere, o duygu unsurunun bağlantılı olduğu akıl unsuru terk edilecek ve başka bir medeniyetten alınan milletler arası akıl unsuru, yerli kültürde aynen korunan o duygu unsuru ile birleştirilerek söz konusu sosyal kurum yeniden inşa edilecektir. Özakpınar, bu analizin mantıksal sonucunu şöyle çıkarıyor: “Demek ki bir medeniyet, sadece bir medeniyet dâiresi içinde milletler arası olmakla kalmıyor, aynı zamanda ─nakledilmek dolayısıyla─ başka bir medeniyet dairesindeki milletler arasında da milletler arası oluyor. O zaman farklı medeniyetleri ne ayırt ediyor? Onlara bütünlüklerini, ayrı kimliklerini veren nedir?” (Özakpınar, 1999, s.211). Dolayısıyla Gökalp’ın teorisi tutarsızdır. Bütün bu teorik tahlillerin arka plânında Yılmaz Özakpınar’ın (1997a) kendisinin kurmuş olduğu farklı bir medeniyet teorisi bulunmaktadır. Önce, Kültür ve Medeniyet Anlayışları ve Bir Medeniyet Teorisi adlı eserinde ele alıp daha sonra diğer kitaplarında geliştirdiğine göre “medeniyet, inanç ve ahlâk nizamıdır. İnanç, medeniyetin ruhsal temeli, ahlâk nizamı ise toplumsal temelidir” (s.55). Bu iki temel üzerinde birleşmenin bilincini ve güvenini duyan insanlar, o inancı ve ahlâk nizamını yaşatacak sosyal ve iktisadî yapıyı kurarak büyük kültür eserleri meydana getirirler. Bu teoriye göre “İnanç, medeniyet kaynağı olması bakımından bilinçli, soyut ve rasyonel bir zihin düzeyi olup insanın bütün ruhunu kavrar; insanın tabiat, hayat ve hayat ötesi ile ilişkilerini aydınlatır ve bir ahlâk nizamını öngörür.” (s.57). Bir medeniyet kaynağı olarak inancın ve onun doğurduğu ahlâk nizamının içeriği önemli değildir. Kim neye veya nelere inanıyorsa, o inançtır. Neye göre hareket ediyorsa o ahlâktır. Peki, kültür nedir? Özakpınar’a göre “kültür, medeniyetin; yani inanç ve ahlâkın maddî ve manevî tezahürleri olan her şeydir” (s.51-52). Aslında kültürü “maddî ve manevî” diye ayırmak da yersizdir; çünkü kültürün özü bütünüyle manevîdir, zihnîdir. Çünkü bir kültür unsuru ne kadar maddî olsa da ona işlev kazandırılması ve onun psikolojik nitelik düzeyi zihnîdir, manevîdir. Katkıda bulunmak için biz bir misal verecek olursak, tabiattaki bir ağaç parçasını “sopa” diye elimize alınca, o âdeta tabii hâlinden soyutlanıp artık zihnî bir düzey ─tasarı─ ve öz bakımından manevî/kültürel bir işlev kazanmaktadır. Buna mukabil somut ve soyut, teorik ve pratik kültür unsurlarından bahsetmek mümkündür. Bir masal, destan, örf ve âdetler, edebiyat, bilimsel teoriler, her çeşit teknik yöntemler, psikolojik ve sosyal durumlar; musikî, mimarî ve bütün sanat eserleri hepsi de kültür unsurlarıdır. Ve yukarıda söylendiği gibi bütün bu “kültür unsurları, içinde bulundukları medeniyete göre şekillenir; onun rengini alır. Fiil-ler ve eserler hâlinde insanın tabiata eklediği her şey kültürdür. Kültür eserleri rast gele meydana gelmez, temeldeki inanç ve ahlâk nizamı kültür ögelerini seçtirir, şekillendirir, yönlendirir, sınırlar ve onlara ilhamını verir” (s.59). Özakpınar’ın (1997a) teorisindeki medeniyet de paylaşan mil-letler arasında ortaktır. Ancak ister ferdî irade, akıl ve metodla, ister sosyal, kendiliğinden ve duyguyla oluşsun her türlü insan unsuru kül-türdür”. Gökalp’ın medeniyete dâhil ettiği her şey, Özakpınar’da kül-türdür ve kültür değişmesi, tarihî ve sosyal olduğu kadar da kaçınılmaz bir realitedir. Ancak mensubu olduğu medeniyetin bilincinde olan, güçlü olan kültür seçicidir, aldığı unsurları kendi yapısına uydurur. Bağlı olduğu medeniyetin inanç ve ahlâk nizamı sarsılmış ise o kültür, seçme gücünü de bütünlüğünü de kaybeder. Kültür değiştirme tabiî iken, medeniyet değiştirme o kadar kolay değildir ve olağanüstü şartlarda meydana gelir (s.69-71). Yazarın bu tahlillerine belki şu eklene-bilir. Milletler kültürlerini değiştirdikleri kadar medeniyetlerini de değiştirselerdi, yeryüzünde özgün medeniyet kalmazdı. Özakpınar (1997a), bu teorisini gerek eski ve gerekse mevcut büyük medeniyetlere uygulamakta, bu anlamda İslâm medeniyetinin esasını İslâm inanç ve ahlâk nizamı olarak belirlediği halde, Batı me-deniyetinin esasını sadece Hıristiyan inanç ve ahlâkı değil, ona ilâveten hümanist ve endividüalist felsefenin teşkil ettiği bir alaşım (terkip) olarak kabul etmektedir. Dolayısıyla Batı medeniyeti temsil itibariyle -Gökalp’ın sandığı gibi- bir bilim ve teknoloji ile temsil edilmemekte, aksine bilim ve teknoloji o alaşımın bir tezahürü olarak doğmaktadır. Görüldüğü gibi Özakpınar’ın medeniyet teorisi, medeniyeti inanç ve ahlâk nizamı olarak esas alıp kültürü onun her çeşit tezahür şekilleri olarak tâlî saymakla, genel kabulleri tersine çevirmektedir. Başka de-yimle medeniyet sebep, kültür ise o medeniyetin anlaşılıp işlenişinden doğan sonuç olmaktadır. Yazarın bu teorisi özellikle “milliyet-çi-muhafazakâr” diye nitelenen bu günün aydın çevresinde geniş ilgi uyandırmış, hatta bu çevrenin asırlık yayın organlarından biri olup vaktiyle Ziya Gökalp’ın da kurucularından bulunduğu Türk Yurdu dergisi vakit geçirmeden Mart-Nisan 1998 sayısında, ‘Yeni Bir Mede-niyet Anlayışına Doğru’ başlığı ile özel bir sayı yayımlamıştır. Burada dikkati çeken husus, bir hayli yazar, araştırmacı ve akademisyence yapılan tartışmalarda bu teorinin büyük ölçüde olumlu karşılandığıdır. Niçin olumlu karşılandı? Çünkü kaynağı bizde Ziya Gökalp’a dayan-makla beraber İkinci Meşrutiyet’ten beri gerek ‘Türkçü’ ve ‘İslâmcı’, gerekse ‘Batıcı’ların paylaştıkları eski teori, yani Gökalpçı ayrım, tam anlamıyla hiçbir grubu tatmin etmemişti. Meselâ, İslâmcılar teorik bakımdan kabul etmekle birlikte pratikte Batılılaşmanın getirdiği problemler dolayısıyla rahatsızlık duymuşlardır. Salt Batıcıların çoğunluğu onun, pratik bakımdan ‘çağdaş/muasır medeniyet’i bütün hâlinde kabullenmeye sınır koyup ‘kültür’ dediği değerlere ‘millîlik’ atfetmesinden memnun olmamışlardır. Gökalp’ın kendi ekolünden sayılan bilim adamlarından sanki en çok Mümtaz Turhan onu savun-muş iken, talebelerinde problem çıkmış, meselâ Erol Güngör, kullan-maya elverişli olmakla beraber Gökalpçı kültür-medeniyet ayrımının yarattığı sıkıntılar üzerinde durmuş, ‘Türk Kültürü ve Milliyetçilik’ adlı eseri başta olmak üzere birçok yerde Gökalp’ı kıyasıya eleştirmiştir (Güngör, 1978). Mümtaz Turhan’ın diğer talebesi Yılmaz Özakpınar’a gelince, onda mesele kökten farklı algılanmış, sade Gökalp değil Mümtaz Turhan ile Erol Güngör de bu konuda içine düştükleri teorik hatalar bakımından ince bir eleştiriye tâbi tutulmuşlardır. Hatta bu grubun tarihçi kanadından büyük âlim Osman Turan dahi ayni eleştiri faslından payını almıştır. (Özakpınar, 1997b, 1998, 1999). Çağdaş Türk düşüncesinde hem milliyetçiliği hem de İslâmcı çizgisi ile özel bir yere sahip olan Nurettin Topçu’nun, acaba Yılmaz Özakpınar’ın bu yeni medeniyet teorisi çerçevesindeki konumu nedir? Ana hatlarıyla bakalım: Nurettin Topçu hakkında önemli araştırmalar yapan bazı sosyal bilimciler, onun gerek kültür ve medeniyet kavramlarını anlayışı, ge-rekse Batılılaşma tezine bakışı ile hem Gökalp’tan hem de çağdaşla-rından farklı düşündüğüne dikkat çekerler (Öğün, 1992; Kaçmazoğlu, 1999). Bize göre bu onun hem orijinal bir düşünür (olmasından), hem de milliyetçi ve İslâmcı çizgiyi birlikte temsil etmesinden kaynakla-nıyordu, diyebiliriz. Bu iki vasfının yanında Topçu’nun filozof kimli-ğini de unutmamak gerekir. Bu özelliği ona, hem zengin bir felsefî birikimi kullanma, hem de problemleri bütün hâlinde ele alma ve açıklama yeteneği sağlamış olsa gerek. Her şeyden önce Nurettin Topçu’da da kültür ve medeniyet ay-rımlarının yer yer genel ve klasik örneklerine rastlayabiliriz. Ancak onun bu konuda esas kanaatinin ne olduğunu eserlerinin bütününden çıkarmak mümkündür. Daha yirmi beş yaşındayken Paris’te bir doktora çalışması olarak ortaya koyduğu ve Türkçeye tercümesi Musa Doğan ve Mustafa Kök tarafından yapılan İsyan Ahlâkı adlı eser, âdeta onun bütün felsefî ve ilmî kişiliğinin temellerini barındırmaktadır. Biz orada Topçu’nun metafizik plânda bütüncü bir kâinat, insan ve ahlâk anlayı-şının, hatta konumuzla ilgili medeniyet anlayışının da çekirdeklerini buluyoruz (Topçu, 1998a). Nurettin Topçu birçok yazısında memleketimizin yüz-yüz elli yıldan beri başta gelen derdinin medeniyet meselesi olduğunu vurgular ve bu meselenin Batılılaşma meselesi ile iç içe olduğunu belirtir. Bunun aynı zamanda muhafazakâr zümre ile inkılâpçılar arasında sürekli bir çatışma konusu olduğunu hatırlatır. Taassupla yaklaşan muhafazakârlar için mesele sadece Batı’ya benzememek dâvası idi; onların millî var-lığımız hakkında bir fikirleri yoktur. İnkılâpçılar ise örfler ve kıyafet değiştirmede kurtuluşumuzu aramak gibi gülünç bir dâvaya kendilerini kaptırdılar. Her iki tarafın bilmediği şey kendi millî kültürümüzü yo-ğurmanın lüzumlu olmasıdır. Hakikatte bin yıllık tarihimiz içinde or-taya konmuş olan Anadolu Müslüman Türk Kültürü’nü örfleri, folk-loru, edebiyatı ve güzel san’atları ile tasavvufu ve tarikatlarının felse-fesi ile İslâmî ahlâkıyla bir potada yoğurmak, dâvanın esasını teşkil ediyordu. Öyleyken bunların hepsini ayaklar altına alıp Garplılaşma sevdasına kapılan aşağılık ruhlar, aralıksız nöbet değiştirirler (Topçu, 1998b). Görüldüğü gibi burada medeniyet meselesi millî kültürü yo-ğurma ve tahripten koruma çabası olarak karşımıza çıkmaktadır. De-vamla, “gözleri Avrupa medeniyetinin teknik parıltıları ile kamaşan, henüz aşağılık duygusundan kurtulmamış Şark’ın çocukları kendi millî kültürlerinin meyvesi olacak müşterek Doğu medeniyetini yaratabile-cek hâlde değildiler” (Topçu, 1998b, s.12). Burada mesele anlaşıl-makta, düşünürümüz Hıristiyan Garp karşısına, Müslüman Şark dün-yasını koymakta, bu ikincisinin millî kültürlerin meyvesi olacak müş-terek doğu medeniyetini yaratamadığından yakınmaktadır. Ve yakınma daha da ileri gider: “Avrupa’dan sonra bugün Amerika’nın barbar tek-nik gücü de üstümüze bir leş gibi yığılırken, halâ içimizde Garplılaş-manın sırrını ve san’atını arayanlara milliyetçi adı verilmektedir.” (Topçu, 1998b, s.12). Dikkat edilirse burada Gökalp ve ekolü kaste-dilmektedir. Hatta bilindiği gibi rahmetli Mümtaz Turhan’ın bir eseri-nin adı ‘Garplılaşmanın Neresindeyiz?’dir. Gerçi orada Turhan, millî kültürümüz kavranarak Batı’nın bilim ve teknolojisini hayatımıza nasıl geçireceğimizi tartışmış olsa da, sonuçta o da Gökalp’ın mekanik Ba-tıcılık hatasını paylaşmaktadır. Topçu’nun şu keskin ifadesi ise, işin bir başka boyutuna da işaret eder gibidir: “Garplılaşma maskesinin altında Haçlılaşma barınıyor” (Topçu, 1997, s.144). İlginçtir, Topçu ile mizaç, yöntem ve öncelikleri farklı olan Necip Fazıl da bilindiği gibi özlediği medeniyet arayışını ‘Büyük Doğu’ olarak adlandırmıştır (Kısakürek, 1973). Peki, Topçu’nun yukarıda andığımız millî kültür ile medeniyet ilişkisi, Gökalp’in kültür-medeniyet ayrımını hatırlatmıyor mu? Şekil bakımından evet; fakat muhtevâ bakımından hayır. Bunu anlamak için aynı eserinde bulunan iki makaleyi dikkatle okumak kâfidir. Birincisi ‘Kültür ve Teknik’ yazısı. Burada Topçu iki kavramı karşıt nitelikleri ile ele almaktadır. Ona göre “Teknik, ilimlerin tatbikatı demektir. An-cak gâyesi değil, sadece tatbikatı; zira biliyoruz ki ilmin gâyesi hakikati tanımaktır. İlim hareketi, tanımak aşkının tatbikidir. Teknik istenmeyen bir netice, bir meyve, bir mükâfat gibidir.” (Topçu, 1998b, s.15). Gö-rüldüğü gibi buradaki teknik Gökalp’ın medeniyet cümlesinden olan ve bizim Batıdan almamızı öngördüğü fendir; bugün teknoloji denilen şey. Peki, Topçu’da kültür nedir? “Bir milletin kültürü, onun bütün fertlerinin sâhip olduğu hadiseleri karşılayan duyuş şekilleri ile bütün tarihi içinde meydana getirdiği değer hükümleridir. Bu değer hüküm-leri, ilim, sanat, felsefe ve din tarafından yaşatılmaktadır. İnsanı kâinatın merkezi yapan bütün meseleleri bunlar paylaşmışlardır. Ve her cemiyet, her millet bunları kendi ruh kabiliyeti ile kendi iradesi ile yoğurmuş, her birine kendi karakterini vermiştir. Kültür onu yaratan milletin malıdır.” (Topçu, 1998b, s.16). Dikkat çeken husus Gökalp’ın medeniyete dâhil ettiği hususlardan ‘bilim’ kültür sayılmakta ve hatta her toplumun kendisi tarafından yaratılmaktadır. Bunu anlatmak için Leon Bronschvig’in bir sözünü hatırlatmaktadır: “İlim aynı ilim, lâkin insanlık aynı insanlık değil.” Çünkü Topçu’ya göre ilmin metodları ve ortaya koyduğu ilim zihniyeti her yerde başkadır. Bu başkalık millet-lerin ilim dehasındaki hususiyetleri yaratmıştır. İlim araştırmalarında Almanlar akılcı, İngilizler tecrübeci, Fransızlar tenkitçi zihniyeti hâkim kıldılar. İşte bu yüzden Topçu’ya göre ilim, medeniyet değil, kültür konusudur. Ve din gibi, felsefe gibi insanın olayları karşılayan duyuş şekilleri yani dünya görüşü kazanmasında önemli faktör olarak kabul edilmektedir (Topçu, 1998b, s.16). Topçu’nun, dini millî kültürden saymakla Gökalp ile paralellik arz ettiği sanılabilir. Çünkü Topçu’ya göre din, “milletin malı olmasa da milletin kuruluşunun esaslı kaynağı olmuştur, büyük dinler millet-lerin kuruluşlarından önce var olarak bu kuruluşu hazırladılar. Millet-lere, ruhun temel yapısında bulunan ahlâk ve inanışları, ideallerinin kaynağını verdiler. Bugün Fransız ve İtalyan milliyetini Katolik inan-cından, Türk’ü Müslümanlıktan ayırmak imkânsızdır. Bu sun’i ve zoraki bir tasavvur olur.” (Topçu, 1998b, s.18). Görüldüğü gibi Top-çu’nun görüşleri bu konuda da Gökalp’ten farklıdır. Çünkü din, mil-letlerin oluşumundaki rolü dolayısıyla kültürden sayılmakla beraber, onların aynı zamanda ahlâk ve ideallerinin de kaynağı olmakla hem temele alınmakta, hem de karakteri icabı milletler arasında paylaşıl-maktadır. Bize göre, bu anlamdaki kültür değerlerinin, yani dinin, ahlâk ile millî ruhların kaynağı olarak milletlerarası özellik taşıması dolayı-sıyla Topçu’daki karşılığı farklı algılanmakta ve sonuçta daha çok Özakpınar’ın medeniyet ayrımına benzemektedir. O yüzden, yukarıda bahsettiğimiz üzere Nurettin Topçu, Doğulu Müslüman milletleri kendi kültürlerinin meyvesi olacak müşterek Doğu Medeniyetini canlandır-maya çağırıyordu. O hâlde, filozofumuza göre ruhunda İslâm inanç ve ahlâkı bulunan müşterek bir İslâm medeniyeti, dün olduğu gibi bugün de yeniden ihyâ ve inşa edilebilir. O, zaten, ahlâka dayalı bir medeniyet kurmak istiyorsak, yine İslâm ahlâkını benimsememiz gerektiğine işaret eder (Topçu, 1997, s.166). Aynı kitaptaki ikinci makale ‘Garbın İlim Zihniyeti ve Ahlâk Görüşü’ adını taşımaktadır. Bu makalede daha açık bir şekilde ortaya konuyor ki, Topçu’ya göre Batı medeniyetinin kaynağı ilim zihniyeti, ahlâk görüşü ve bir aşk dini olan Hıristiyanlıktır. Sonradan buna Rö-nesans’la beraber hür düşünce ve ferdiyetçilik dâhil olmuştur. İlim zihniyetinin unsurları, determinizme dayanmak ve tekâmül fikrine inanmaktır. Ahlâkın vasıfları ise insana hürmet, cemiyet fikrine inan-mak, mâneviyat ve isyan iradesine bağlanmaktır. Oysa düşünürümüze göre bizde Batı ahlâkı, onun zayıf ve sefih halk ahlâkına bakılarak olumsuz yanlarıyla tanınmıştır. Bu anlamda Topçu, Batı’nın iki şeyini yanlış anladık der: “İki yüzünü tersinden gördük: İlmini ve ahlâkını. Batılılaşmak isterken onun ilmini alıp ahlâkını almama kararını verdik. İlim ile ahlâkın aynı kökten çıktıklarını bilemedik. İlmini de güyâ al-mak isterken bir müze malı gibi veya bir şöhret kürkü gibi cemiyetin hayatıyla alâkasız bir antika eşyası hâlinde aldık. Gümrükten çıkarıp kütüphanelere yerleştirdik.” (Topçu, 1998b, s.30). Nurettin Topçu’nun Fransa’da bulunduğu yıllarda (1928-1934) tanıdığı, yukarıdaki ahlâkî vasıfları hâiz, büyük ruh sâhibi ahlâk ve düşünce adamlarını kastederek, kendi dönüşünden otuz yıl sonra (1964’te) Fransa’ya giden talebesi Orhan Okay’a yazdığı mektupta sorduğu önemli bir soru: “Şimdi içimde bir üzüntü var: Acaba onlar (büyük ruh sâhibi adamlar) öldü mü? Ve şimdi yaşayanlar onlar gibi değil mi? Avrupa’yı Avrupa yapan o münevverlerin dünyasında da acaba onların çocukları demeye lâyık olmayan maddeci küçük ruhlu insanlar mı yaşıyorlar?” (Okay, 2009, s.172). Çünkü düşünürümüze göre Avrupa’yı yaratmış ve yaşatmış olan kuvvetler, biri ruha diğeri maddeye bağlanan iki faktörde toplanmaktadır: Birisi zengin edebiya-tıyla kuvvetli metafiziğini orta çağda hazırlamış olan Hıristiyan ruh-çuluğu (spiritüalizm), diğeri XVII. yüzyılda başlayan sömürgeci büyük sanayidir. Avrupa’nın son üç yüzyılı bu iki kuvvetin çarpışması ve sömürgeci büyük sanayinin başarısının tarihidir. Bu aslında, Hıristiyan ruhçuluğunun bir bakıma yeniçağdaki temsilcileri olarak gördüğü Pascal, Kant, Goethe ve Rousseau’ların, aynı zamanda bunların eseri olan romantizm ile A. Comte’ların eseri olan pozitivizm ve onu en iyi şekilde kullanan müspet bilimciliğin çarpışmasıdır (Topçu, 1997, s.165). Kendisinin Fransa’da bulunduğu yıllarda aynı ruhçu filozofların benzeri olarak tanıdığı çağdaş Fransız filozofları Bergson ve M. Blondel’lerin çocuklarının da maddeci oldukları endişesi Batılılar adına onu fevkalâde üzmektedir. İşte Batılılaşma meselesini bütün bu çerçevede kısaca ele almak gerekirse, Topçu’ya göre her şeyden önce Batı’da aşırı derecede bü-yüyen teknik, ruhun önüne geçmiş, Bergson’un deyimiyle “insan ruhu şimdi bedenini dolduramayacak kadar küçülmüş” ruhla bedenin çar-pışmasından nice buhran ve felâketler doğmuştur (Bergson, 1967, s.389; Kök, 2001, s.224). Avrupa medeniyeti bu tehlikeyi önleyeme-miştir. Avrupa’nın asırlardan beri yarattığı ilim, felsefe ve sanat başa-rılarından doğan teknik ön plâna geçmiştir. Her kuvveti, her imkânı insan tarafından kullanılabilir eşya haline getiren teknik, başlangıçta hayranlıkla kendisine bağladığı insanı sonra kendi arkasından sürükler olmuş; insanı kendisine esir etmiştir. Böylece hâkimiyet eşyanın eline geçmiş ve eşya insanla izah edilecek yerde, insan eşya ile izah edilmeye başlanmıştır. Sonuçta, Topçu’nun zikredilen mektubunda sorduğu sorunun arkasında, bugünkü Batı medeniyeti hakkındaki bu hâkim endişe vardır, demek lâzım. Bilindiği gibi bizim Batı’dan öncelikle aldığımız, Gökalp’ın da büyük ölçüde medeniyet olarak gördüğü değer, bu teknikten ibarettir. Topçu’ya göre, biz kendi kültürümüzle tekniği-mizi yaratamadık. Onu emanet bohçalar içinde Garp’tan aldık, yarat-manın zevkini biz yaşamadık. Eğer teknik medeniyet ise, medeniyet satın alınır zannettik (Topçu, 1998b). Topçu’ya göre yukarıda ifade ettiğimiz gibi, Batılılaşmanın esas sebebi aydın tabakada oluşan aşağılık kompleksidir. Bir buçuk asır süren bu facia sebebiyle kendimizden tamamen uzaklaştık. Ruh saha-sında sömürge cemiyetler arasında yer alabildik. Batılılaşma mesele-sinde bazı münevverler dâvâyı doktrinleştirip ‘mademki Garb’ın me-deniyetini aldık kültürünü de beraber alacağız, medeniyetle kültür bir bütündür, biri birinden ayrılmaz’ dediler. Düşünürümüze göre bunla-rın anlayamadıkları ve milletlerin tarihi içinde gözden kaçırdıkları nokta, ancak kendi kültürünü yoğuran milletlerin müşterek bir mede-niyet ortaya koyabilecekleri idi. Ona göre, zamanımızın Batı medeni-yeti dâiresi içerisine iki çeşit millet girmektedir: “Bunların bir kısmı kendi kültürünü kendi yaratmış olan şerefli ev sâhipleri, diğerleri ise bir ziyafet sofrasına konmak hevesine kapılan, kültürlerini yapamamış parazit misafirler, sömürge ruhlu milletlerdir… Acaba Garb’ın ruh ve zihniyetini paylaşamayan milletler, Garp medeniyeti halkasına girmiş sayılırlar mı? Elbette değil. Bu medeniyetin bünyesine onların da emeği karışmadığı müddetçe olmayacaktır.” (Topçu, 1997, s.156). Üstelik bu meselede düşünürümüze göre önemli bir nedensellik hatası işlenmekte, sebep ile sonuç birbirine karıştırılmaktadır. Bütüne mal olan, yani bir kelimeyle içtimaî olan medeniyet, ferdî olan kültürün pasif neticesi(dir). Şu hâlde neticeden hareket etmek mânasız olduğu için bizim yaptığımız gibi, kültürü bir yana koyarak medeniyetten hareket etmek de elbette neticesiz olacaktı; buğday yetiştirmeden ek-mek yapmak isteyen insana benzeyecektik (Topçu, 1997, s.156). Bu açıdan bakınca aslında pasif ve sonuç niteliği taşıyan medeniyeti se-bep olarak başa almamız son iki yüz yıldan beri yaptığımız inkılâpla-rın başarısızlığını da anlatmaktadır. Topçu’ya göre “kendi mâzimizin, kendi kaynaklarımızın mah-sûlü olan kültürü Garb’ın ve sonra bütün insanlığın eseri olan metod-larla yoğuracağız. Buğdayı kendi tarlamızda yetiştireceğiz. Bu eser bizim olacaktır.” (Topçu, 1997, s.157). “Biz Garb’ın değerini takdir ettiği metodları kullanarak, onunla kendi ilim zihniyetimizi meydana getireceğiz. Ancak şunu hiçbir zaman unutmamalıyız. Düşünmeye başlarken Descartes’tan değil, kendi fikir tarihimizden, faraza millî tarihimizden değilse de düşünce tarihimizin bir şahsiyeti olan Gazâlî’den işe başlamalıyız; sonra Descartes’a veya Bacon’a uzanmak yerinde olur. Kendi cevherimizi böylelikle muhafaza edebilir ve kendi dehamızı da ancak bu sayede ortaya koyabiliriz.” (Topçu, 1997, s.158). 1. Özakpınar (1999), kendi teorisinde medeniyetin ruhsal temeli olarak inancı, toplumsal temeli olarak da ahlâk nizâmını kabul etmek-te; bu iki temel üzerinde birleşmenin bilinci ve güvenini duyan insan-ların ise, o inanç ve ahlâk nizâmını yaşatacak sosyal ve iktisadî yapıyı kurarak büyük kültür eserlerini meydana getireceğini öngörmektedir. Şimdi bir ân için düşünelim; bu iki temel üzerinde birleşmenin bilinç ve güvenini duymak, kültürel bir etkinliği gerektirmeyecek midir? Bizâtihi inanç bir düşünce hareketine, bir iman eylemine dönüştürül-meden, yani insanın hayatına etkin şekilde karıştırılmadan, salt inanç olarak kültür eserlerini nasıl meydana getirecektir? İnancın bir düşün-ce ve iman hareketine dönüşmesi ise, zaten başlı başına bir kültür et-kinliği değil midir? [İnançlardan birinin “insan ruhunda süreklilik ka-zanması ve onun hayatına hâkim olması”na, biz de Nurettin Topçu’dan hareketle iman adını vermekteyiz (Topçu, 1998a, s.145). “İman hareketi”nin medeniyetlerin doğuşu ve yükselişindeki rolü üze-rine dikkate değer bir tez geliştiren -yakında kaybettiğimiz- Nevzat Kösoğlu’nun görüşleri ise, bu bağlamda ayrıca ele alınmaya değer gözükmektedir.)] Eğer öyleyse, yani inanç etkinlik göstermeden kül-türel nitelik kazanmıyorsa, ‘her şeyin başında kültürel faaliyet var’ demenin hiç de kolay reddedilir olmadığını söyleyebiliriz. İkinci ola-rak, Özakpınar’ın sosyal temel aldığı ahlâk nizâmı da ahlâkî değer hükümlerinin fert olarak insan ruhunda iradî etkinlik göstermesi ve bu iradenin toplumsal paylaşımla somutlaşması, kurumlaşması, nihaye-tinde kültürel mahiyet kazanması demek değil midir? 2. Aynı şekilde, özellikle Topçu’nun işaret ettiği üzere, büyük ahlâk adamlarının önderliğinde ahlâki değerlerin bilinçle yaşanması ve hayata geçirilme olgusu da bir kültür hareketi olmuyor mu? Tek kelimeyle hem inancın hem ahlâkî değer hükümlerinin soyut plânda sadece ‘vazedilmiş olması’ değil -Özakpınar’ın (1999) kendisinin de dediği gibi- bilinçle işlenmesi, gerek ferdin zihnî hareketine gerekse toplumun iradî paylaşımına ihtiyaç göstermeyecek midir? Bu ise inanç ve ahlâk nizâmının kültürel nitelik kazanmasından başka bir şey mi-dir? Aksi takdirde, bir başka anlamda Gökalp’ın düştüğü hataya düş-müş, Topçu’nun dediği gibi nedensellik hatası yaparak, inanç ile ahlâk nizamını etkin olmayan bir ‘sebep’ yerine koymuş olmuyor muyuz? Görüldüğü gibi Nurettin Topçu’nun kültür, medeniyet ve Batılı-laşma problemlerine bakışı, bu konulara dâir olgu ve olayları kendine özgü ve özellikle felsefî metodlarla değerlendirmesinden kaynaklan-maktadır. O, her şeyden önce kendi medeniyetimizin bütün hâlinde kavranılıp yeniden canlandırılması idealini gütmekte, başka milletlerin metod ve tecrübelerinden yararlanırken aşağılık kompleksine asla cevaz vermemektedir. Kendi medeniyetine bütün hâlinde inanan bir düşünürün kültür alışverişinde seçici ve tercih edici bir yaklaşımla hareket edeceği tabiidir. Bu çerçevede önceki bilim ve kültür adamlarımızdan farklı olarak Topçu’nun, yeni ve sistematik bir medeniyet teorisi ortaya koyan Yılmaz Özakpınar’ın anlayışına ─inanç ve ahlâkı etkin sebep olarak temele koymuş olmakla─ büyük ölçüde yakın göründüğünü söyleyebiliriz. Genel ve klasik tanımla her medeniyet bir inanç faaliyetinin, buna bağlı olarak doğan felsefî, bilimsel, estetik nitelikte kültürel etkinliklerin, bunların da sonucu olarak tezahür eden bir kurumlaşma ve teknolojik somutlaşmanın bütünü olmaktadır. Nurettin Topçu açısından da bakınca, bu anlamda medeniyet, yüksek kültürel faaliyetlerin bir tezahürüdür (Kök, 1998). Yani, ağırlıklı olarak kültürel sonuç niteliği taşıyan bir medeniyet, Gökalp’ın sandığı gibi, kurumları ve teknolojisiyle alınarak ona ferdî ruh ve dehâmız karışmadan, yani onda kültürel dönüşüm sağlanmadan nakledilirse bir yere varılmıyor; aksine sadece ‘taklit’ ve ‘tüketici’ konumunda kalınıyor. Özakpınar’ın (1999) Gökalp’a yönelttiği kategorik eleştiriler bize göre de yüzde yüz yerinde. Medeniyet değiştirme tezinde, bir medeniyet hem kendi medeniyet dâiresi içinde ‘milletlerarası’, hem de nakledildiği başka bir medeniyet dâiresi içinde ‘milletlerarası’ ise, o zaman farklı medeniyetleri neyin ayırt ettiği; kezâ onlara bütünlük ve kimliklerini veren şeyin ne olduğu sorusu bizce Gökalp’a yöneltilen en can alıcı eleştirilerden birisidir. Bu anlamda Batı medeniyeti nasıl oluyor da hem batılı milletlerarası, hem de nakledildiği Doğulu-Uzakdoğulu veya İslâm milletleri arasında ortak dâireler oluşturmaktadır? Fukuyama ve benzerlerinin, insanlık tarihinde gelinen son noktanın tek bir medeniyet, Liberal-Kapitalist Batı medeniyeti olduğu tezinin ise, bilimsel olmaktan çok Batı medeniyetinin küreselleştirilmesi çabasına ideolojik kılıf teşkil ettiği şüphesizdir (Duralı, 2000). Sonuçta, Nurettin Topçu’nun başlı başına bir medeniyet teorisi olmamakla beraber bu konudaki fikirlerinin, Gökalp (1963) ile Özakpınar’ın (1999) teorilerinden farklı nitelikler gösterdiği, ikisinin de taşıdığı medeniyet yaratmadaki nedensellik hatasını işlemediği, bununla beraber medeniyetlerin doğuş ve gelişmesinde ferdî dehaların kültürel yaratmalarının etkin sebep olduğu, dolayısıyla gerçek anlamda, taklit edilemez, kolay kolay değiştirilemez; ama her ân için kültür değişmeleriyle ve yapılacak gerçek inkılâplarla içten yenileştirilebilir olduğu, bu anlamda kendi mâzi ve kültürümüzü Batı’nın ve bütün insanlığın metodlarıyla yoğurmamız gerektiği görüşleriyle, yer yer Özakpınar’ın (1999) tezine yakın durduğu vurgulanabilir. İlâveten düşünürümüz, Doğulu milletlerin Batı karşısında kendi kültürlerini insanlığın geliştirdiği metodlarla işleyerek alternatif Doğu medeniyetlerini ihya edebilecekleri kanaatindedir. Yeter ki onlar, Batı karşısındaki aşağılık kompleksinden kurtulmuş olsunlar. Bergson, H. (1967). Ahlâk ile dinin iki kaynağı. (M. Karasan, Çev.). İstanbul: MEB. Duralı, Ş. T. (2000). Çağdaş küresel medeniyet. İstanbul: Dergâh Yayınları. Fukuyama, F. (1992). Tarihin sonu ve son insan. (Z. Dicleli, Çev.). İstanbul: Simavi Yayınları. Gökalp, Z. (1963). Türkçülüğün esasları. İstanbul: Varlık Yayınları. Güngör, E. (1978). Türk kültürü ve milliyetçilik. İstanbul: Ötüken Neşriyat. Huntington, S. (1995). Medeniyetler çatışması. (M. Yılmaz, Çev.). Ankara: Vadi Yayınları. Kaçmazoğlu, B. (1999). Türk sosyoloji tarihi üzerine araştırmalar. İstanbul: Birey Yayınları. Kısakürek, N. F. (1973) İdeolocya örgüsü. İstanbul: Büyük Doğu Yayınları. Kök, M. (1998). Felsefenin Medeniyet Yaratmadaki Rolü ve N. Topçu. Türk Yurdu (Medeniyet Özel Sayısı), 127-128, 166-170. Kök, M. (2001). Mistik dünya görüşü ve Bergson. İstanbul: Dergâh Yayınları. Okay, M. O. (2009). Batının iki yüzü. İ. Kara, (Ed. ), Nurettin Topçu. Ankara: Kültür ve Turizm Bakanlığı Yayınları. Öğün, S. S. (1992). Türkiye’de cemaatçi milliyetçilik ve Nurettin Topçu. İstanbul: Dergâh Yayınları. Özakpınar, Y. (1997a). Kültür ve medeniyet anlayışları ve bir medeniyet teorisi. İstanbul: Kubbealtı Neşriyat. Özakpınar, Y. (1997b.) Batılılaşma Meselesi ve Mümtaz Turhan. İstanbul: Kubbealtı Neşriyat. Özakpınar, Y. (1998). Kültür ve medeniyet üzerine denemeler. İstanbul: Ötüken Neşriyat. Özakpınar, Y. (1999). Kültür değişmeleri ve batılılaşma meselesi. Ankara: TDV Yayınları. Topçu, N. (1997). Yarınki Türkiye. İstanbul: Dergâh Yayınları. Topçu, N. (1998a). İsyan ahlâkı (2.baskı). (M. Kök ve M. Doğan, Çev.). İstanbul: Dergâh Yayınları. Topçu, N. (1998b). Kültür ve medeniyet. İstanbul: Dergâh Yayınları. Toynbee, A. (1991). Medeniyet yargılanıyor. (U. Uyan, Çev.). İstanbul: Ağaç Yayıncılık. Bu makaleye atıf yapılmak istendiğinde, aşağıdaki kaynağın mehaz gösterilmesini önemle rica ederiz. Geniş tartışması için bkz: Kök, M. (2009). Erol Güngör’de milliyetçilik ve milliyetçiler arasında birlik meselesi. Türk Yurdu, 264, 67-73. Daha ayrıntılı bilgi için bkz. Kösoğlu, N., (1990). Türk dünyası tarihi ve Türk medeniyeti üzerine düşünceler, İstanbul: Ötüken Neşriyat.